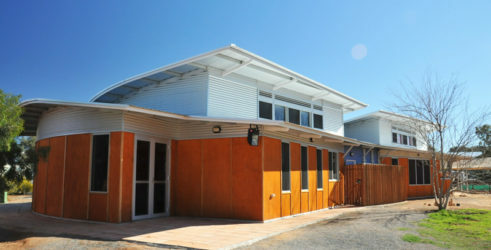 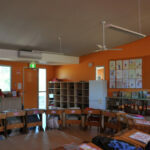 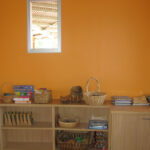 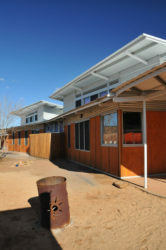 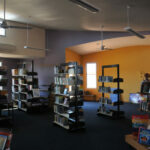 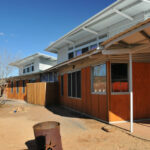 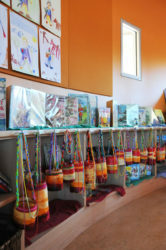 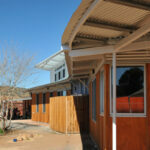 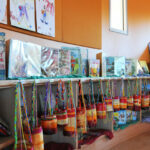 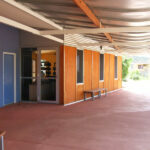 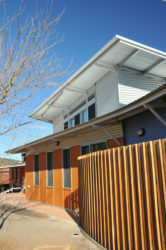 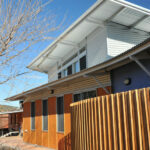 This stage of the Alice Springs Steiner School’s development consists of a new classroom and library. 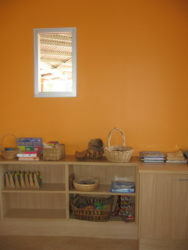 The classroom and library is a continuation of the school’s master plan concept of paired classrooms in a serpentine, lineal arrangement. 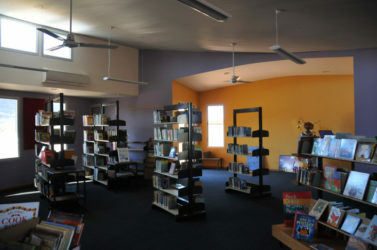 As a shared resource, the library is centrally located between the grouped classrooms of 4 and 5/6 and the future classes 1, 2 and 3. 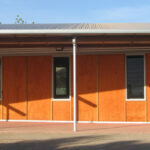 This building continues the strategies developed for the Stage 1 classrooms and the flexible learning area in its careful placement of thermal mass, siting and orientation to work with the local climatic conditions. 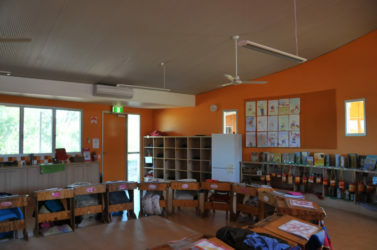 The library is paired with the class 4 room and is linked via a covered outdoor teaching area to the class 5 and class 6 building. 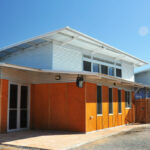 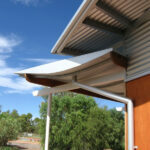 Further, the verandah is designed to act as a gutter. 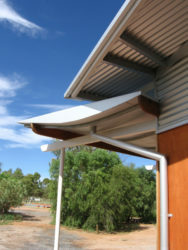 The verandah collects the water from all the roofs where it is delivered to underground storage for use on the school gardens. 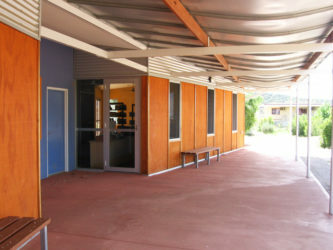 The outdoor learning area frames views to the ranges from the southern garden, and creates a circulation/ visual link from the southern garden to the school’s playing fields. 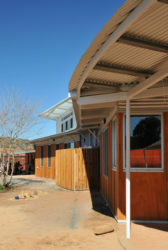 Winner, 2012 Northern Territory Architecture Award for Public Architecture and The Colorbond Award for Steel Architecture.